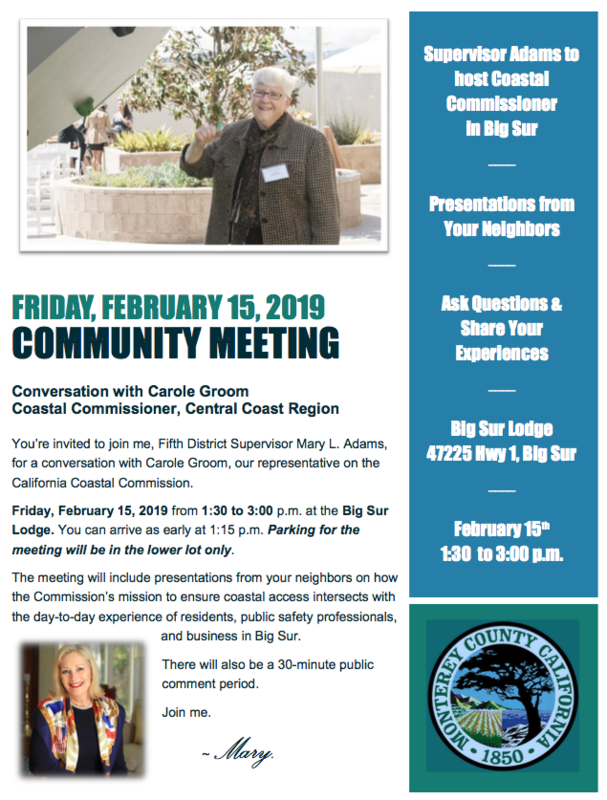 You are invited to join Supervisor Adams for a community meeting with Coastal Commissioner Carole Groom next Friday, February 15, 2019 from 1:30 to 3:00 p.m. The meeting will be held at the Big Sur Lodge. The attached flyer has additional information on the purpose and format of the meeting. Please feel free to share the flyer with your neighbors. I hope you’ll be able to join Mary and Commissioner Groom for a lively discussion.